We invite you and your Clan to join us for next year’s Festival. Elgin Park in Uxbridge is a lovely venue to gather. There is no cost to park and admission is free. One of our volunteers will direct you to your space. You can drive in, unload and grab a parking spot in our main lot. We invite all clans to participate during the opening ceremonies. Cheers! A warm welcome to the Farquharson clan, MacFarlane clan and the MacRae clan who will be joining us at the Festival. There is still time to register your clan. Simply complete the contact form below. Dave Graham was our special guest this year. It was such a delight to have Dave Graham attend our Festival this year as our special guest. Dave has been a member of Clan Graham Society since 2006. He works to increase membership by promoting the goals of the Society at Highland games held throughout New England. He has attended AGMs in Atlanta, Estes Park , Halifax NS, Las Vegas, and Maryville. He and his wife Jane have toured Scotland tracing his Graham routes back to Madderty outside of Dunning in Perthshire. Dave retired from Conversent Communications, a voice and data company, as Senior VP of Engineering in 2002, following a 36 year career beginning at New England Telephone. 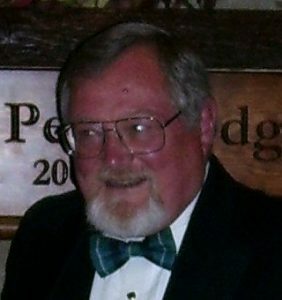 He is a member of St. Andrews Society of New Hampshire. Dave enjoys all winter sports, especially snowmobiling, and is the President of the Lisbon Snowmobile Club. He and his wife of 44 years live in Lisbon New Hampshire; they have three children and 6 grandchildren. For more information, please e-mail Randy.